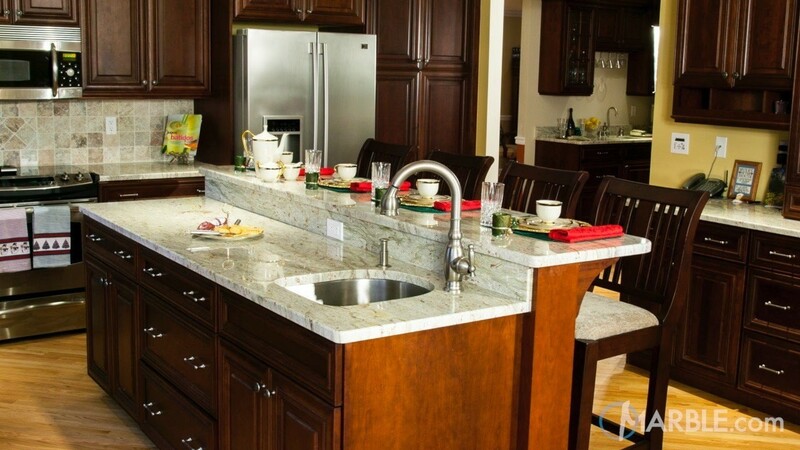 When selecting a stone for your kitchen countertops, there are many options to choose from, especially with our selection of over 2,000 different colors of natural stone in stock. 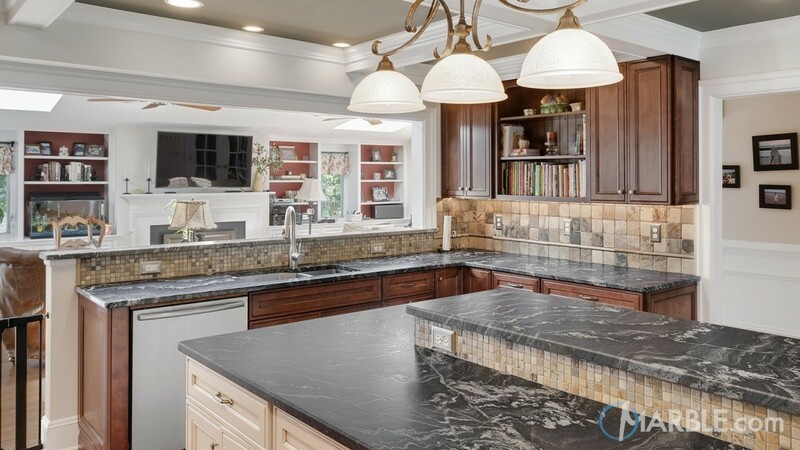 Thankfully, our expert team can assist you throughout the entire process and even help you decide on what stone fits best with your kitchen’s décor. 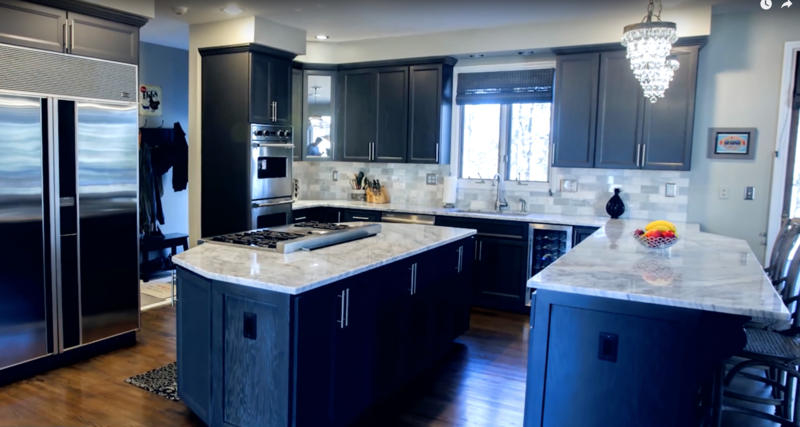 Dark cabinets are a popular option that we see here at Marble.com. 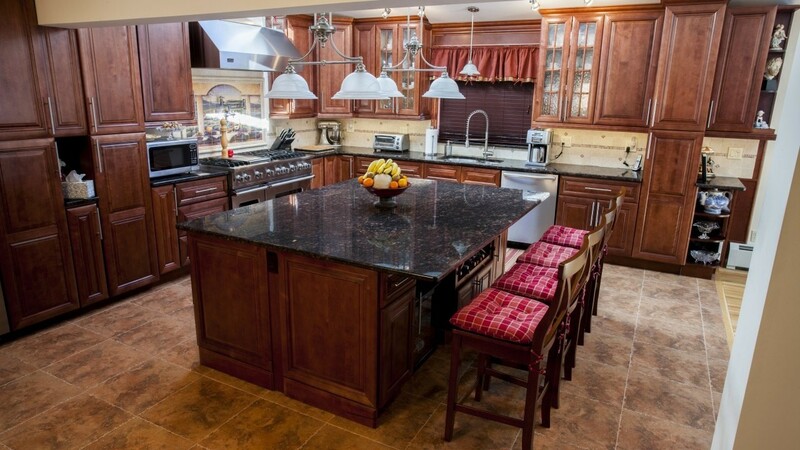 In this article we're going to share with you some of the most popular kitchen countertop stones for them. Ambrosia White, also known as Amba White, and Andromeda White, is a wonderful granite with an off white background that is filled with light grey and green veins along with some tiny burgundy spots. 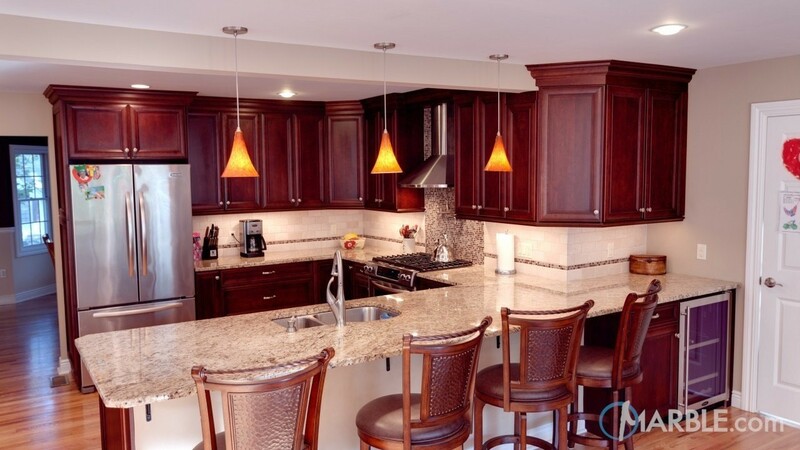 As we see in this quaint kitchen, it is the perfect kitchen granite countertop material to pair with dark cabinets. The white and grey tones of the Ambrosia White countertops create a beautiful contrast. A multi-colored backsplash of white, brown and grey is the perfect element to marry the diversity between light and dark colors in this kitchen. Classic White Quartzite is a stunning white quartzite from Brazil with areas of grey highlights and occasional dark veining. Many designers and homebuilders use Classic White Quartzite as a more durable alternative for the luxurious classic white marble look, which has caused this stone to recently become very popular. In this ying and yang styled kitchen, we see how the elegance of Classic White claims the focal point when perched upon dark cabinets. Chandeliers and stainless steel appliances complete the clean and polished décor.